What was my path to the 80/10/10 low-fat raw vegan Natural Hygienic lifestyle, where it’s led me in life and how I feel today, you ask? Well, it’s a long story that stems back to the mid-1980s, when I first became a vegetarian for totally stupid reasons … . Back when the Smiths’ song “Meat Is Murder” came out in the mid-1980s, I had a dysfunctional relationship with a guy in college who idolized the college radio station DJ and devalued me. When listening to the DJ’s radio show one day, I heard him say that he’d gone vegetarian because of that song but couldn’t last past the weekend without a burger. I thought to myself, “Hmm … I could do that.” It was a stupid reason, yes, and a stupid relationship, yes, but it did get me on my journey toward health, vitality and happiness. So I did go vegetarian without much ado. I’d already dropped red meat without realizing it once choosing my own food and couldn’t stomach fish, so it wasn’t too much of a stretch to cut out the rest of the meat. I started to feel better than I had before and wondered if I could keep doing it and stay healthy. I asked the college nutritionists and dietitians about this. All told me dropping the meat was actually healthier as long as I didn’t rely on junk food and food too high in fat such as peanut butter. Using the university library system, I looked up nutritional articles, studies and so forth, examining their data in addition to their conclusions to see for myself. Surprisingly, to me at the time, I found a lot of data and conclusions saying that what they called “pure vegetarians” at the time (now called vegans) had lower incidences of osteoporosis than other dietary groups. As a small-boned, fair-skinned woman, I knew I was at-risk for this condition, so this piqued my interest, and I made a mental note of it. I wasn’t ready to stop eating dairy products at the time. I joined a natural food co-op that had a store and started eating primarily organic and local foods. Within a year or two, I had transitioned into eating vegan food exclusively and tried out a bit of food-combining principles a friend was doing. I didn’t know it was a principle from Natural Hygiene—or even that NH existed at the time—and was doing a basic version of simply not combining proteins and carbs with anything but veggies and/or oil. It worked better for me, so I kept with it. It had gotten me over the mild case of asthma I’d had since a child and decreased my hay fever down to a much more manageable level. 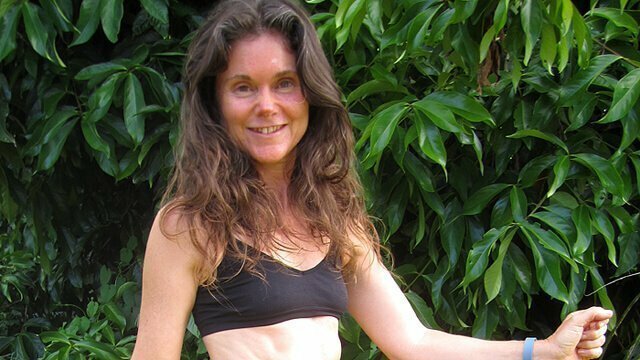 Janie Gardener embarked on a low-fat raw food diet more than a decade ago. After graduating from my university, I decided to audit courses at a different university that were not offered at mine. I moved into a student-run living cooperative that housed and fed more than 60 vegetarians, which is where I met Darrel. I was one of less than a handful of vegans there at the time. In the late ’80s, I became pregnant and tried to find information about nutrition for a vegan pregnancy. There wasn’t much out at the time, and I got what I could. I remember it had me eating extraordinary amounts of food, even in the first trimester. I didn’t have morning sickness but didn’t feel that hungry either, so it was challenging to accomplish. I felt like my life had suddenly become exclusively a matter of attending to all my bodily functions. Once I got into my second trimester, it was easier. There was a time during the pregnancy when I was low on funds and qualified for the WIC (Women, Infants, and Children) program, which gave food vouchers for specific food items. It was mostly dairy and eggs, so I tried adding them back into my diet. 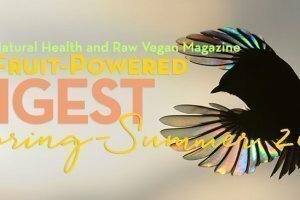 I had the worst asthma attacks I’ve ever had during that time, so I skipped the free food and went back to being vegan, which took care of it just as quickly. It was quite an educational experience. I had an otherwise easy and smooth pregnancy and painless birthing experience. I was active until birth, working full time, taking public transportation and walking a lot for my transportation. My “water broke” late at night, right before I was about to go to sleep after a full day’s work, and my son was born before sunrise the next day. I had excessive bleeding after an impatient and overworked midwife tugged on the umbilical cord, tearing the placenta off my uterus. It’s possible that my then-unknown autoimmune condition played a part in the excessive bleeding, too, or perhaps it hadn’t developed completely yet. While I was pregnant, my roommate gave me a book to read called Fit for Life by Harvey and Marilyn Diamond because I was into food combining. That is how I discovered Natural Hygiene. Darrel and I became quite interested in it and started gathering Natural Hygienic books and other works from a variety of authors, including Herbert Shelton, of course. It was Fit For Life that inspired us to work toward becoming strict fruitarians, something we later abandoned as, over the years, we’d seen many other people fail trying to eat fruit exclusively (without greens or nonfruiting veggies). We started eating fruit or nothing for breakfast back in the late ’80s and kept the practice for decades. We would eat something fresh and raw at the start of each meal and stayed vegan, almost exclusively organic (except for eating out). I still had a thing for French fries and chips and fried things like falafels, tempura, etc., so they were still a part of my diet for many years. Our son is an extrovert, and we wanted to have another baby to keep him company as we also wanted to live more naturally and homestead in more remote places. I had figured that spacing children about six or seven years apart was good for a balance of the benefits of being an only child along with having the company of siblings. Since my pregnancy with our son was unplanned, we figured all we needed to do was stop trying not to get pregnant and I would. So when he was 6, we stopped using birth control. I didn’t get pregnant right away, though. In the meantime, the progression of our diet plan was on course. We had moved to Hawaii when he was almost 5 after homesteading off the grid in California for a few years. We wanted to be able to grow and eat fruit all year and live more simply where the climate allowed us to have fewer needs to attend to in living naturally on the land. We had spent weeks—sometimes most of the summers—blissfully eating all-raw, fresh organic produce we harvested from our homestead and friend’s organic farms and wanted to be able to do that year-round in a place we didn’t need insulated shelters or as many clothes, if any, in order to survive. We transitioned into mostly raw vegan right away when moving here, and I went 100 percent raw vegan and, at first, tended toward just eating food how it grows, fruit for breakfast and lunch, and salads for dinner or sometimes just fruit eaten with lettuce instead. The first place where we lived here was in an organic farming intentional community. We had been into intentional communities for years. Other people there were also into raw vegan fare, but it was a high-fat raw vegan diet with spices, ferments, wheatgrass, lots of sprouts, apple cider vinegar and Bragg’s Liquid Aminos—a Hippocrates Institute-ish sort of way. The way I was eating raw wasn’t much of an improvement from the Natural Hygiene, cooked-vegan-with-fruit-for-breakfast way I had been eating beforehand. I continued to overindulge in salts (Bragg’s Liquid Aminos) and fats without regard for any limits with them—and definitely overdid it in retrospect (higher than even a SAD). Still, I was feeling better on that diet than any of the others I’d done before going raw and didn’t really think about the difference between what they were doing (when they did raw) and what we were doing (all the time). They did, though, and they kept expressing concerns about the fruit we and, especially, our athletic and active (but not unfocused and hyper) son were eating. They introduced us to the ferments and other foods, and I became distracted with that even after we moved out of that community. 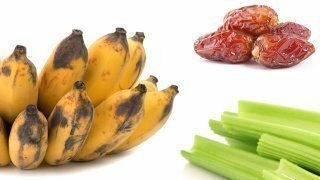 This resulted in my tendency to even eat more fats to get the calories I was missing from limiting my banana intake (main low-fat calorie source). We had already decided that we didn’t want to be complete fruitarians based on the troubles we’d seen others have from that but were still into the food combining and fruit or nothing before noon. We were farmers and lived off the grid for many years, allowing us to have very fresh food, harvesting what greens and veggies we ate pretty much right before eating or as eating. After a bit more than a year doing raw vegan in this way I became pregnant again. 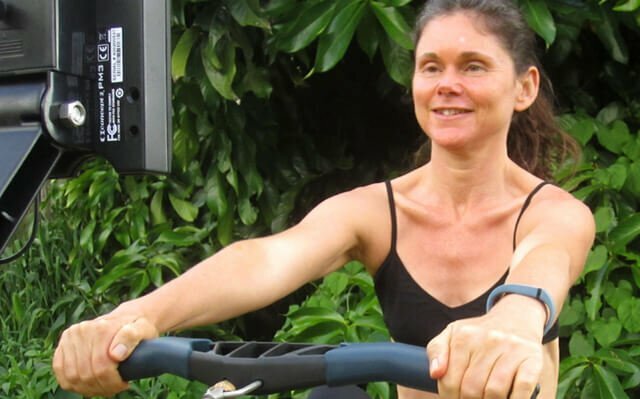 Janie works out using a rowing machine in June 2013. I wanted to stay a raw fooder but had no information, support or role models for raw pregnancies (except one friend who had her first while raw and had since gone back to cooked after that child was a healthy 3-year-old ’cause she thought she needed the protein). I remembered the information I’d found in my university library when first becoming a vegetarian years beforehand and the book I’d found on vegetarian pregnancy when pregnant with my son and decided to see what information I could gather. I also decided to utilize my computer abilities to record, track and support myself. This is back when the public Internet was quite new and nutritional tracking software didn’t exist (that I know of or was able to find). Luckily, I have a background that enabled me to accomplish this. I am one of the first to grow up with computers as a part of my life. My father’s occupation was involved with computers from before punch cards, and I had access to and played with them as a result, being in the first computer club in my high school, working in the computer lab in college and working as a teaching assistant in computer graphics and other courses as an undergraduate at my university when the first Macintosh computers came out. So, being an intellectual, a computer nerd, into health, and not having adequate information or support with how to eat for pregnancy with raw vegan food, I naturally went to the nutrition books and charts and created my own custom Microsoft Access database of nutritional values before the USDA one was available. 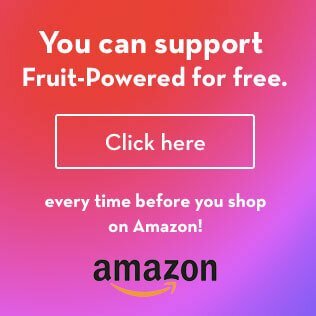 I entered all the values of any raw food I could find information for and converted them into standard units and gathered recommended daily allowances on all the nutrients I could find for women (pregnant, lactating and not), children, infants and men so I could use it for our whole family. I made an interface that allowed me to make accounts for each of us where we could enter in what we’d eaten for the day and see what nutrients we’d gotten so far and get a list of what we still needed to get, according to those RDAs. I micro-managed my diet like this while pregnant, making sure I got all the RDAs for a pregnant woman my size. The database also enabled me to figure out what staple foods to eat and in what amounts to meet the difficult nutritional areas (calcium, folic acid, iron, protein, B12, etc.). I ended up regularly having lots of soaked almonds and raisins (made into an unfiltered almond-milk-like smoothie), a date a day (for the folic acid), nutritional yeast (for the B12), Bragg’s Aminos, tahini and hijiki (for the calcium) as well as other stuff along with the organic baby green salad mix we were growing for a living then. I can’t recall anymore exactly what other staples there were. I then started having a miscarriage and was told by the most alternative midwife I could find that she thought it was due to lack of protein. She said that sometimes lack of progesterone can cause problems so gave me some sort of more natural type of progesterone cream to use. It didn’t work. I went to a regular OB/GYN when it didn’t resolve after a few days and became more clearly a miscarriage in process. I showed her my charts and figures and said that I didn’t see how it could be protein. She was impressed and said that she didn’t think it was nutritional—that it just happens sometimes. She also asked for a copy of my nutritional database to use for her patients. (Needless to say, she stayed my OB/GYN until she moved away). Still, doubts lingered in my mind a bit, as miscarriages can bring up insecurities in that way. I was vulnerable at the time to the suggestions of my midwife, my friend who had stopped eating raw and others. Darrel was concerned about our son’s dyslexia (even though he is also mentally gifted) as well as the fact that our son was really involved with gymnastics, taking five or six classes a week and on their team in training for eventual competition, but wasn’t interested in eating as much protein as the charts said he should. All of this, combined with my desire to have another baby (and knowledge that I had my son while vegan before), caused me to add tofu back into my diet, and that led to a basic cooked vegan way of eating. I got pregnant again about a year later, had another miscarriage and was told again it happens. I then remembered that the couple of months that I suffered through after adding dairy products back to my vegan diet when I was pregnant with my son before. So I added them back in case that played a part. I got pregnant again about a year after that and, yes, had yet another miscarriage. 🙁 I tried to get tests done, but my body reabsorbed the baby and OB/GYN didn’t think blood tests would help at the time. I had been having some cravings for chicken skin and charred beef fat during the pregnancy that I had been ignoring and rethought it: maybe I shouldn’t have been ignoring them, so, yes, I added back some meat—but not beef, only chicken and also eggs. I can’t remember exactly why the eggs—perhaps it was the protein thing. At this point, I was thinking that I wanted to completely eliminate the question of the type of protein being the cause and thought maybe those cravings were trying to tell me something. I thought about how plenty of people have kids on the SAD, or standard American diet, so maybe that’s what I needed to do to have another child. I thought it was worth a try, if not just to rule out that possibility from my nagging mind. I thought that I could go back to eating raw once I had the child. Remember, I was rather vulnerable, wanting to have another child and having these difficulties and all, seeing all kinds of women eating all kinds of junk and all, popping out tons of kids. Heck, there were drug and alcohol addicts popping out kids left and right, too. As a farmer, I knew that, often, sickly plants will go to seed in order to reproduce before they die, so I figured maybe that was going on with the people. Still I didn’t want to go too far with it, so I also started to take vitamin and mineral supplements at some point—can’t remember when and got the kind that was the closest to food as I could. I figured that the farther I got from raw vegan the more I’d need the supplements. The thing was, I didn’t get pregnant again. I added fish into my diet, too, and preferred it to the chicken. We can get freshly caught fish here, and so I had a lot of ahi, a kind of tuna, which was the only kind I could stomach. (I always had trouble with fish.) It seemed like I just couldn’t have kids anymore. I was just starting to think about going raw again when I unexpectedly got pregnant again quite a few years after the last one. By now, my son was 12 and would be 13 by the time it was born. Quite a gap! I had thought I just wasn’t able to get pregnant anymore, so it was kind of a shock at first. I wasn’t sure what to think with such a gap between children, at first. I also wasn’t sure whether to get excited about it, considering my history and all. I had just started to allow myself to be excited and tell people about it when, yup, you guessed it—another miscarriage! Ugh! At this point, I was determined to find out what in the heck was going on. My OB/GYN was, too. She did all kinds of blood tests and sent me to fertility specialists, etc. for genetic counseling. The blood tests indicated something that caused her to refer me to a rheumatologist on a different island, causing my health insurance to pay for my flights there and back to see him. He looked at my blood tests, asked me questions, looked at my skin, face, arms and hands, then said that I had antiphospholipid antibody syndrome and that my cardiolupins were probably what caused the miscarriages. He said that it makes the blood tend to clot inside and causes miscarriages. He said that they don’t know what causes it but that I probably have had it all my life and my son was lucky to be here. Well, I figured that was it for kids then and wondered if there was something I could do to get rid of it nutritionally. Janie Gardener is photographed in 2006. He said that there was a risk of heart attack, stroke and/or clots in my legs or other areas with my autoimmune condition and that the aspirin was to thin the blood to prevent the clotting—basically trying to minimize the risk since he had no cure. He said that aspirin can be difficult on the stomach, which is why he recommended coated aspirin, but didn’t say any other side effects or risks. I was a bit in shock ever since he said I should take aspirin daily for the rest of my life, so I didn’t catch much after that. Luckily, I had brought Darrel with me, so he could listen, too. As we left, the doctor added that if I got pregnant again, I should see him again right away because he’d probably need to give me Heprin (a stronger blood-thinning drug) in order to keep the pregnancy. I decided that I didn’t want to get pregnant again if I’d need drugs and also that I needed to do more research on it to see if the diagnosis and treatments were correct in terms of the medical knowledge available. Darrel and I did lots of research with my blood test results in front of us, found out more information about it and determined that the diagnosis was correct and that the treatment was the standard one for my moderate case of it. It also explained another potential reason why I had the excessive bleeding after my son’s birth—even though the blood clots more inside, it tends to bleed more as well. This was all happening in the year my mom’s health suddenly took a more rapid decline and I was flying here and there with her for tests on Oahu, helping her around, etc. It eventually became and was diagnosed as lung cancer, leading to her death a couple of weeks after my aunt died of cancer. My dad’s cancer flared up again, causing him to do another round of chemo, while my favorite relative—my grandmother (his mom and my now-dead aunt’s mom)—broke her hip and survived heart attacks and strokes while recovering. Our son was having big problems in school and with the teachers hassling him (’cause he’s smart but has trouble with reading and writing), and we were having problems with getting the administration to do anything about helping him out with his dyslexia. Our neighbor broke into our garage and attacked my husband over wanting to park where we were in our shared driveway after threatening to kill my son months before—and many other things. So, needless to say, I had a lot of stress in my life. I was not up to figuring out what to do with my antiphospholipid antibody syndrome for a while because there were so many other things I needed to attend to, and our house was full to the brim with my mom’s stuff while we were needing to get the rest of it out of the storage room that we couldn’t afford to keep paying for since my mom died broke when we were broke, too. The owners of the farmland we’d been farming decided to move in and not renew our lease, and we hadn’t found other farmland where the same thing didn’t happen again, so we stopped farming and didn’t have access to harvesting our own food anymore. We had other jobs at times but were struggling financially, mostly due to attending to all the family health issues. I was a bit depressed about supposedly needing to take the aspirin every day and felt flawed in not being able to birth any more kids without drugs. I resisted taking the aspirin a bit by forgetting and all. I ended up not even doing Natural Hygiene anymore and was eating eggs and toast for breakfast or cereal and soymilk instead of fruit by this time—as well as ice cream occasionally that wasn’t even organic, with cow’s milk, sugar, chocolate and all. In our research, we found out that there was a risk of stroke either way for me—aspirin can cause strokes by making the blood too thin or something like that. It’s due to a collapse of the blood vessels, rather than a clot. I didn’t like taking the aspirin or how I got a weird feeling in my legs sometimes that was more noticeable if I took it too close to going to sleep—so much so that I couldn’t sleep from its becoming a bit painful. A chiropractor told me that a fish-oil supplement he had was supposed to thin the blood without weakening the blood walls, so I tried that for a while instead of the aspirin. The thing was, the fish oil gave me the same weird feeling in my legs that the aspirin did, and I had to take two capsules three times a day vs. one small aspirin, which was much less expensive, once a day. I decided to alternate them and skip days, eat more fish and learned to like salmon, although it had to be smoked. There are some people from Alaska who come here to sell their frozen smoked salmon at the farmer’s markets and on the side of the road, so I had a good supply of that. None of it felt right in my body, though. I finally had a follow-up appointment with a doctor from the Internal Medicine Department here about my antiphospholipid antibody syndrome and was able to ask more questions. The rheumatologist had taken some additional blood tests that we thought were to rule out lupus from our research, and we wanted to know the results. I asked him to take another set of blood tests to confirm that it wasn’t just a temporary blood condition while pregnant. It seemed to me that the symptoms I knew of would get worse when I was pregnant and/or between ovulation and menstruation. Before my last pregnancy, I had noticed a weird hormonal thing for a while and thought it was early perimenopause, treating it with flaxseed oil, which helped some. I thought the fish oil, fresh fish and flaxseed oil might have helped, or maybe the condition just became bad during pregnancy from the hormones and all. 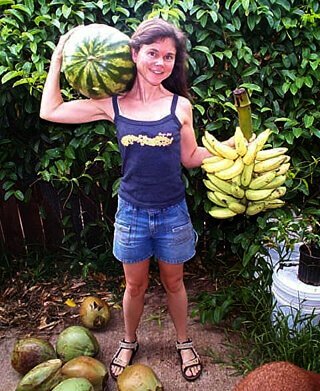 Photographed in 2003, Janie holds a 31-pound watermelon and apple bananas. The tests revealed that I didn’t have lupus and that the antiphospholipid antibody syndrome had gotten worse. This is something I discovered was, too, true shortly afterward, when I had a simple fall and got a major hematoma in my hand, disabling it for a couple of months. My life stresses were still building, and I had been able to resolve only a few of them. The situation with my son’s school finally got so bad that I kind of had a nervous breakdown of sorts one night—at least that’s what Darrel and our son thought. I’d have to say that it was about the lowest point in my life. I was still working and doing my responsibilities anyway, and probably nobody but Darrel and our son noticed, but they know me and saw me at night. Our son had broken his arm while playing in the park so badly that he had to have two pins put into the length of both of his left forearm’s bones and had nerve damage so that he wasn’t able to play his saxophone anymore (due to not being able to lift his fingers). The school wouldn’t even let us switch his elective band class to art for the rest of the year, even though the doctor didn’t know if the nerves would ever heal properly or not (said they “might” recover). The school wanted him to just sit there during the band class instead. They weren’t even addressing the small amount of academic needs even they had recognized in his Individualized Education Program. His science teacher was picking on him in class, and his physical-education teacher was assigning him in-class handwritten essays since he couldn’t play basketball. He was simultaneously bored with the content, while feeling overworked and stressed out with the busywork in his classes. The year before, when the science-math and special-education teachers were all picking on him in class, it took us all year to get it straightened out, but by then there were only two weeks left of school in the year. Now it was all starting to happen all over again, only this time the higher-ups at the district and state level that had helped us the previous year were out of office and replaced with people worse than the school administration on this sort of thing. Anyway, I decided to homeschool him and forget about dealing with the school and administration, even though we were struggling financially, Darrel was between jobs, without a farm and didn’t have any income at the time, and my business was the only income we had and I (being the more academically patient of the two of us) was the most suited to do the teaching. It was one of those times when you just know in your gut what you have to do, even though it doesn’t seem like the wisest choice intellectually. I just had to do it and live with whatever the consequences were because I couldn’t live with the way it was anymore, you know? This was a major turning point for my stress level. I cut back my hours, even though we were struggling with the hours I did beforehand, and somehow the perfect job for Darrel turned up within days. Whew! He was perfect for it, and it was perfect for him, and it made enough to allow me to cut back my clients enough to homeschool well. I was feeling back to my regular self within a few days of this choice. Bye-bye, breakdown. Our son blossomed and thrived while homeschooling, and I found some great methods of teaching him that worked miraculously for his reading abilities. He made tremendous strides in his schooling the rest of the school year while homeschooling. When we took him out of seventh grade midyear, he was struggling with third-grade-level reading material and doing poorly in standardized tests. I was able to put into practice methods I’d discovered and tried to get the school to consider, which radically increased our son’s reading abilities. During the rest of that academic year while homeschooling, he started being able to read adult-level material practically fluently and tested at high school and college level in the standardized tests. He won awards at both the regional and state science fairs for a science project for which he needed to read esoteric college-graduate-level scientific material as part of the research. We did lots of therapy, exercises and things that helped his nerves heal, and he recovered full use and range of motion in his arm and fingers. He started eating better from this change, too, because he had home meals rather than school lunches. It definitely felt like the right choice, and I was feeling much better about lots of stuff. We decided to adopt a traditional school year for our official schooling time, so both he and I have had a summer break. I increased my client work a bit and worked on clearing out more of my mom’s stuff but was mainly working on my health, which was what I “tagged” my summertime for. Right before the end of the school year, I realized that since I wasn’t planning on having any more kids and that the raw food eating wasn’t the problem anyway, that I was free to do raw food again. I started working toward it again and remembered an online discussion board I’d tried out for homeschooling. It was on a vegetarian site called Vegsource, and I thought that there might be a discussion board on raw food there. Lo and behold, there was. This is how I “met” Dr. Doug Graham online. I mentioned on that discussion board that I had antiphospholipid antibody syndrome but only in passing because I wasn’t thinking of diet being a factor at the time. I really liked his articles but was dubious about the need for things to be low-fat. I had eaten high-fat most of my life and not been fat for most of it as well. I didn’t think there was any reason to avoid fat if you weren’t physically fat. I was also dubious about eating two or three large meals a day rather than just eating whenever hungry, in whatever amounts, however many times a day. There were various answers addressing these things that I don’t recall anymore. What I do remember is that Dr. Graham said something to me that gave me an epiphany at the time. He said that I might find that my autoimmune condition improves if I cut the fat intake down to lower than 10 percent of my calories. It is something I was later to find out is part of his general recommendation, but it really put a lot of puzzle pieces together for me in my mind. I had always thought I didn’t need to limit my fat intake or count calories as I wasn’t overweight. I did gradually become overweight in the years after my first miscarriage, with all the dietary and lifestyle changes, but I was still not concerned about dietary fat or losing weight in particular. I do not have a sweet tooth, and salts and fats were my comfort food. I did eliminate table salt at certain points; however, I’d always have alternatives like soy sauce or Bragg’s Liquid Aminos or miso and such instead. The fats in my diet were always in excess of everyone else’s—in excess of the standard American diet as well. My autoimmune condition translated literally means that my body is making antibodies that attack the phosphorous fats in my body. Dr. Graham’s comment made the connection for me: I had excess fats in my system from my diet. I was not overweight most of my life, so my body must have been dealing with those fats somehow. The autoimmune condition attacks phospholipids, and lipids are fats. Perhaps the autoimmune condition was my body’s best option to deal with the high-fat conditions I was supplying it. This made sense with all I believed and had experienced about the body doing the best with what conditions it has. Perhaps the symptoms of the antiphospholipid antibody syndrome I noticed were not a malfunction of my body but side effects of dealing with all the fat I was putting in it. Perhaps my body was avoiding a much more serious problem or set of problems caused by the excess fat and taking the effects of the autoimmune response as collateral damage. I decided to give low fat a try. This was in June 2002. Being able to discuss things with other people, post what I ate and get fine-tuning recommendations, see what others were doing and the general support there made my progress spring forward, and I went back to 100 percent raw vegan much quicker and easier than I had planned. At first, I was consuming more fat than I thought I was, which probably helped me transition better. I was counting the fats only in the overt-fat foods, rather than everything, so was probably doing something more like 20 percent fat for the first six months. Even still, I had great results. It was great! I was on my way to becoming the healthiest, most physically capable ever and felt the best I ever had in my life. It is a terrifically wonderful journey, indeed. Janie has maintained a trim body size as evident in this photograph of her firm abs. Cardio is my weak area fitness-wise, running especially. When I have too many responsibilities and things to attend to, I tend to not get enough sleep and exercise. Ever since first feeling the pure joy of movement after doing 80/10/10 for a little while that inspired me to exercise in a way I never felt before, I have considered exercise a luxury. It served me well for many years, as previous to 80/10/10 I saw exercise as an obligation or burden. I recently realized that seeing it as a luxury was counterproductive when I was pressed for time and logistics. See, I have another usually beneficial habit of delaying gratification in order to get what needs to be done completed before allowing myself luxuries. These two combined in a way that has been resulting in my skipping exercise in favor of completing my responsibilities, and if there are too many responsibilities for too long, that exercise gets skipped too long as well. The same goes for sleep, but I realized that I needed to make sure to get enough sleep on a regular basis a few years back and have been working on that since. I’m much better at not forgoing the sleep than I used to be. I’m now working on not forgoing the exercise as well, whatever the circumstances. I now allow myself the luxury of working out and exercising, and it feels really decadent to make something I enjoy so much a priority in my life, especially when I feel there are so many things I need to attend to as well. I find that somehow it works out as long as I have a time limit to how long I spend exercising, so I don’t just binge on the fun of the exercise and spend hours I can’t afford on it. I’m working out ways to better be able to afford more time, too. Also, over the past year or two, I’ve had to do a lot more traveling than I’m used to. I’d often fly a couple of days, then need to drive for 12 or more hours a few days after that, and then fly for hours a few days after that, and so on, not settling in one place for longer than a week, for months on end. I hadn’t worked out how to fit regular exercise and sleep into that sort of lifestyle. It’s not my ideal lifestyle, or one I’d choose. I prefer to be able to be in nature and/or at the farm and not have to go anywhere for anything, if at all possible. Still, I had things that I needed and wanted to do that required all this travel, and I worked things out as best I could. Getting enough ripe raw fruit in these situations was a challenge as I didn’t have people to buy me stuff ahead of time or places to ship stuff to that would keep it there for me until I got there while it ripened. 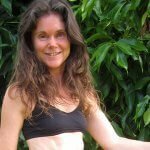 I was able to stay raw vegan and was low-fat as much as possible; however, I did end up turning to fats to make up for fruit shortfalls more than I’d like and more than I had been for many, many years. Eating higher fat allowed me to stay raw vegan during this and would not have been too much of a problem if it was only for a short period of time. If the travel was for short periods of time, I could have stayed low-fat raw vegan. I considered doing cooked vegan in order to stay low-fat, but never quite made that jump. I know how to deal with much of this in the short run or once in a while and stay low-fat raw vegan, even in those circumstances, especially with some planning. 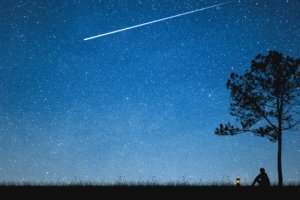 The irregular and unpredictable nature of the travel and the resulting conditions and frequency—and having it be the majority of the time for a year or two—was more than I was able to figure out at the time. Luckily, I don’t have to do as much of that sort of travel anymore, but I am going to try to come up with more methods of how to address this if it happens in the future. Even with these minor setbacks, I was still eating lower fat and was more fit than I was before embarking on this 80/10/10 journey more than a decade ago and am much, much happier and healthier. I had my blood retested about six months ago and found that even though I was a bit off track, my autoimmune condition not only had not continued to get worse bloodwork-wise but had radically improved from what it was in 2002. The blood levels of my cardiolupins were so low that I would not have been diagnosed with the condition to begin with. I’m fairly certain that the next time I get tested, the levels will be even lower, and there will be no current blood-test evidence that the condition ever existed. It confirms and supports my experience with the decreasing and disappearing symptoms as well. So, while I’m currently not quite as fit as I was a couple of years ago due to the temporary setbacks, I’m back on track and regaining my abilities quickly. There are other areas I have been able to develop during this time that I believe, when combined with the better-than-ever fitness levels I had two years ago, will allow me to go farther with my fitness and physical abilities than ever before and I would have been able to do otherwise. I hope to maintain this progress and since I have new tools to allow me to maintain my exercise, I expect to surpass the fitness and ability levels I’ve ever experienced sometime this year. My health and vitality already feel back on track. What’s that saying: It’s always darkest before the dawn? Things get worse before they get better? Dunno—never was into that kind of stuff, but it does fit my story, don’t you think? Janie, 48, poses for a photograph on June 22, 2013. Hungry for more? Check out Janie Gardener’s Post-Training Smoothie recipe! Janie Gardener, also known as "Jungle Janie," lives on the island of Kauai, in the Hawaiian Island chain. She has had the title of “Ambience Fairy” at FoodnSport events held in Washington state every September and October for many years and also produces webmastering, graphics and more for FoodnSport.